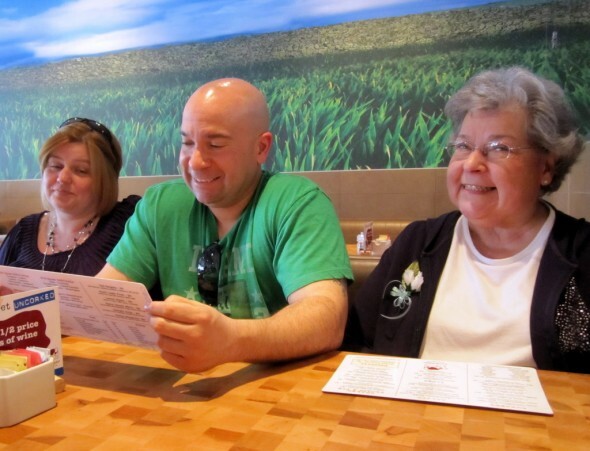 The Reeve and Carney (my maiden name) families have more than a tiny obsession with burgers. Remember last year when Adam and I painstakingly recreated In-N-Out Burgers? 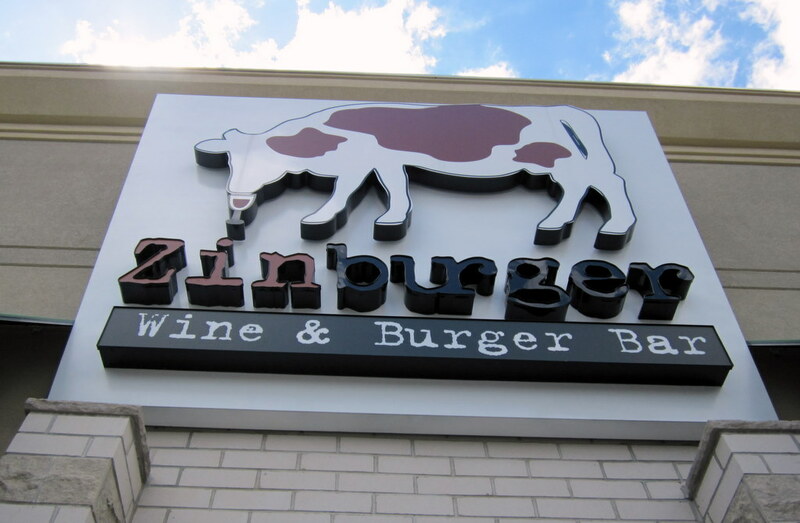 So a few weeks ago, when my brother strongly recommended we all check out Zinburger in Clifton, we headed up to North Jersey to give it a chance. First of all, I love the look of this place. It’s big, open, and airy. Super modern, great atmosphere. Then there’s the food. 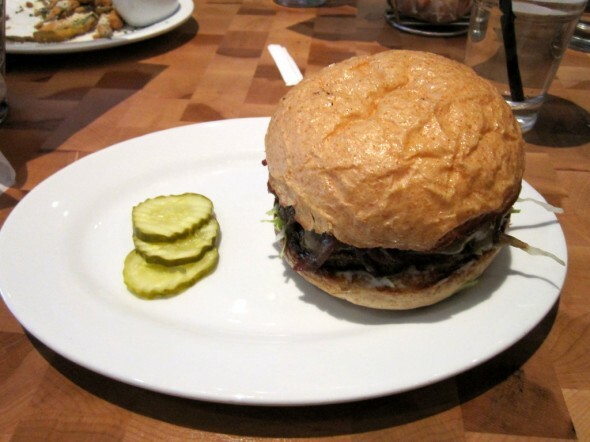 I had the signature Zinburger with Manchego cheese and Zinfandel braised onions. I could tell it was an excellent burger, fresh meat and really juicy. And I loved the bun. But the onions overpowered it for me, I couldn’t really taste much else. However, my brother’s girlfriend Kathryn had the Samburger with ranch dressing instead of Thousand Island, and that looked and smelled amazing. The double truffle and zucchini fries were delicious, and the milkshakes were insane. Think of the best Blizzard you’ve ever had. Clearly it’s my family’s favorite new place. 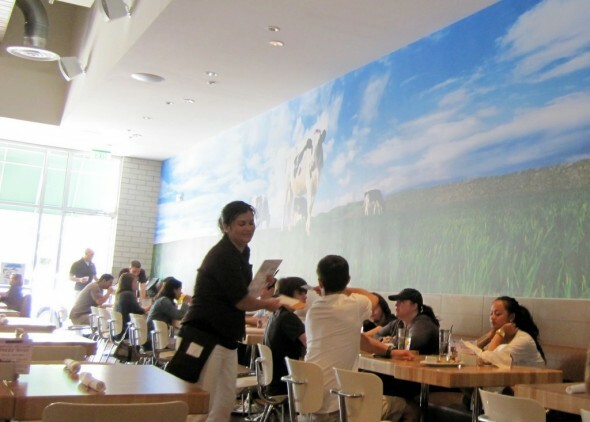 I would go back to Zinburger in a heartbeat, but I’d try something else from the funky menu. There are so many toppings and great choices, it’s just a matter of time until I find a favorite combination.